We get asked a lot how you can pause the Periscope feed to sync up our video if you’re streaming and our game feed is ahead of yours. It takes a little bit of work, but it’s pretty simple. Below are instructions for how to pause and scroll forward on Periscope. Periscope recently released a feature called Timestamps. If you tap the share icon on a live Twitter NBA Show broadcast, you’ll have the option to scrub back to a previous point in the broadcast and will be given a unique link to that point in the show. Once you scrub back in time with the Timestamps feature, you can then DM the link, tweet it out or copy it. Tweeting it out or DMing to someone it will make it easy to go back to that link later, and would be a great way to let others know about the show! On mobile: You can press down on your screen and scrub left or right to go further back or jump ahead as needed with a Timestamped broadcast or pause it to quickly get synced up at any point throughout the show. On desktop: You can pause a Timestamped live broadcast but cannot scrub back or further ahead as you can on mobile. At any point, you can click “skip to live” but would then lose the option to pause. You can use the Timestamps feature at any point in a live or replay broadcast and create another link to help you sync up with the show. Instead of using the Periscope app, use Chrome for Android and navigate to the broadcast at periscope.tv/NateDuncanNBA. Once the broadcast starts, you should get a little speaker icon in the notifications bar at the top of the screen. If you do not get the speaker icon, make sure sound is enabled on the broadcast. Swipe down on that, and it should give you the option of pausing the broadcast so you can sync up. Again, make sure you are viewing in Chrome for Android, not the Periscope app, which may open automatically. Take note of the time of the Twitter NBA Show broadcast when you pause, then press play on your phone when your broadcast/stream of the NBA game reaches the same point. 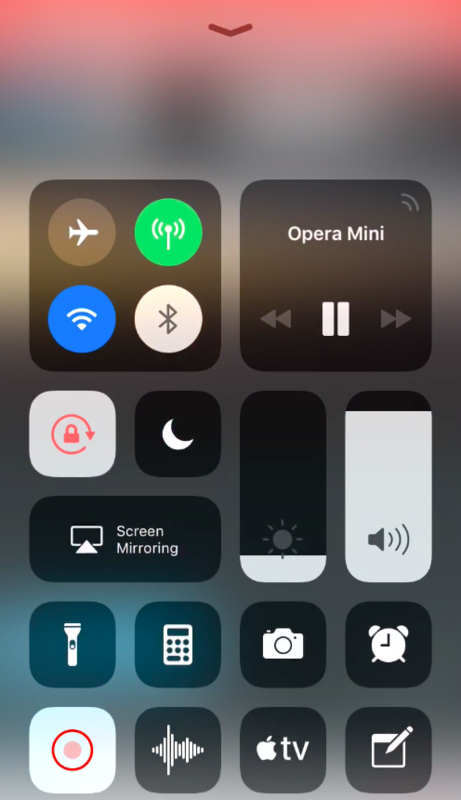 Open the live broadcast, then swipe up to open the control center. Make sure sound is enabled on the broadcast. In the top right corner, you should see a pause button. On desktop, the stream can be paused using Opera Browser. You can download Opera here. Go into settings and enable Pop-Up Video as shown. Then, navigate to Periscope.TV/NateDuncanNBA and start playing the video. As soon as it starts playing, hover over the screen and a green pop-out icon will appear at the top of the video. Click on that and the video will pop out. You’ll want to do it fast, because sometimes it disappears, but if you refresh the page it will come back. Once you’ve created the popout video, there will be a pause button in the lower left corner of the popout. So it will take a little work, but I hope this will help streamers sync up and enjoy the show.